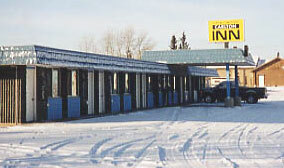 The Spiritwood Carlton Inn in Spiritwood, SK is situated among beautiful rolling hills and many wonderful lakes. The area has a lot to offer with beautiful beaches, great hunting and fishing and great camping in a natural environment, 6 golf courses, 6 regional parks and 35 lakes all within 60 minutes. Winter offers snowmobilers many trails for riding. Explore our web site and feel free to email us (link to email address) with any comments or questions. Thank you for visiting us on the web and we hope to be of service to you in the near future.